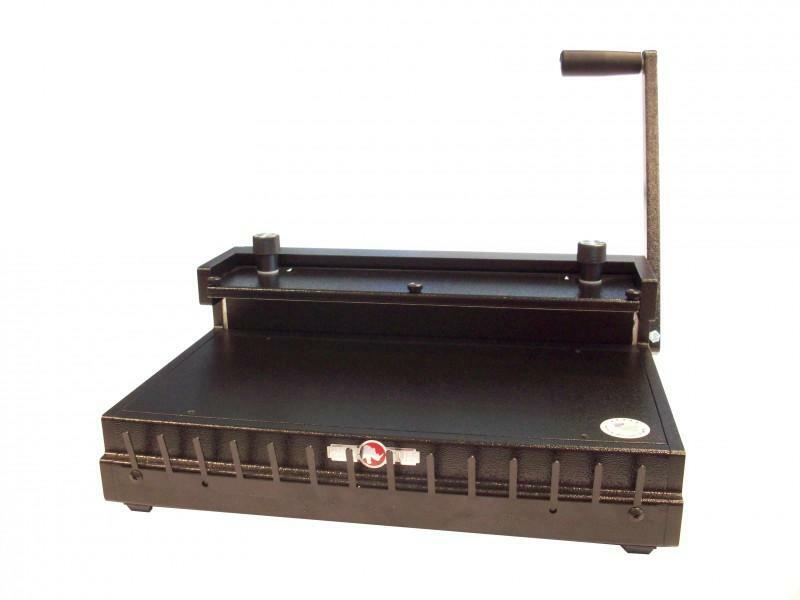 The HD8000 is a wire closing machine that offers a 14 inch (356 mm) legal size capacity and closes books from 3/16 inch to 1-1/4 inch thick (5 mm to 32 mm). The settings for wire sizes on this durable piece of binding equipment are fast and accurate, providing a significant savings on wire costs: wire that is spoiled during the set-up and adjustment of competitive closers. An included heavy duty wire hanger attaches to the HD8000 and holds the wire in position to hang punched sheets onto the double loop wire.